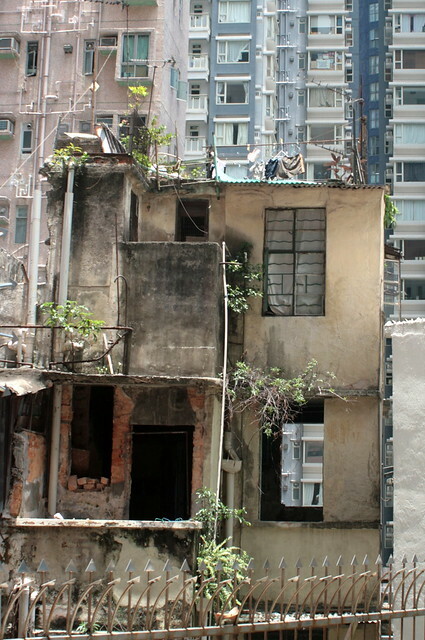 Call me traditional, but I feel Hong Kong's charm lies in its old buildings more than its dazzling modernity. 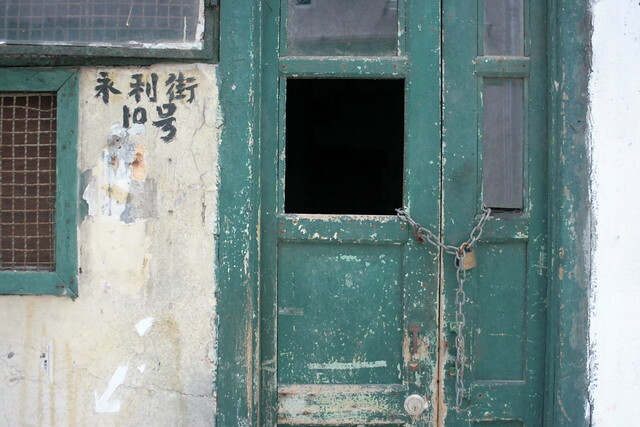 I never tire of gazing at the gritty, well-worn facades that must have seen so much history. 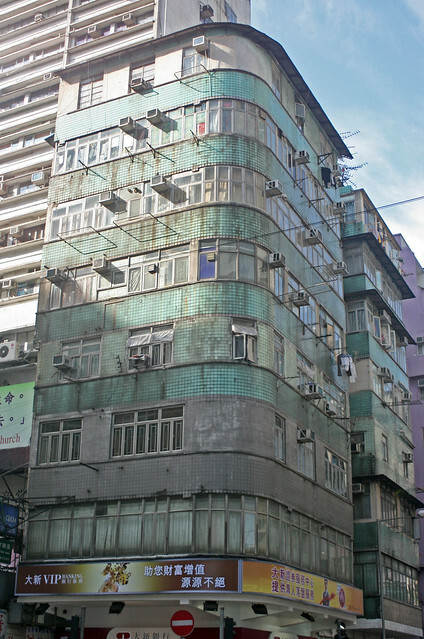 This is one of my favourite buildings on Nathan Road. I don't know why but I just like it. Many of these look a bit seedy and run-down. 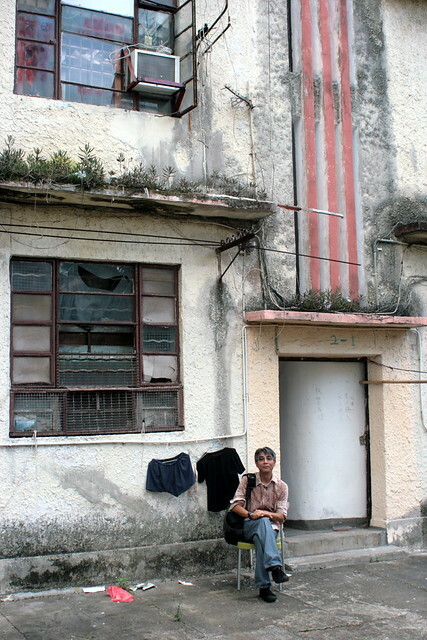 In my previous trip, we saw some really old buildings near Mid-Levels on Hong Kong island. 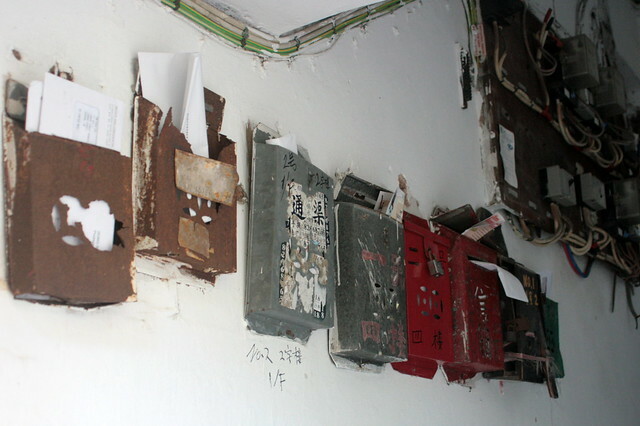 Even mailboxes there bore old school Chinese motifs. Wing Lee Street, in particular, held lots of gems from the 1960s. It's the shooting location for the award-winning film, Echoes of the Rainbow. The government actually overturned a redevelopment plan to conserve these buildings instead. Sadly, most old buildings are making way for new ones. But there are plenty more to look and marvel at. Nostalgic areas make great backdrops. 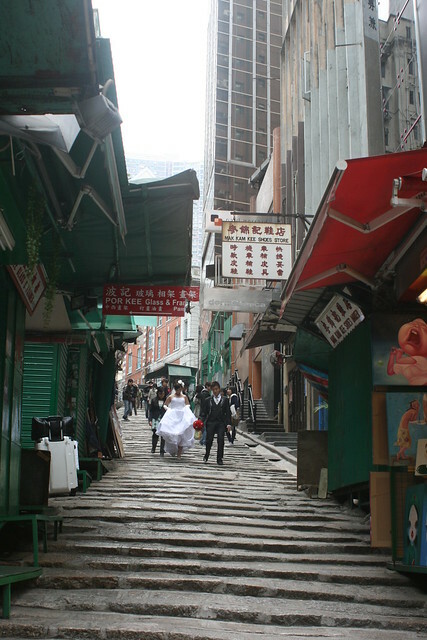 Here's a bride and groom coming down old stone steps on Hong Kong island (I forget which street exactly, but also near Central/Wellington Street). 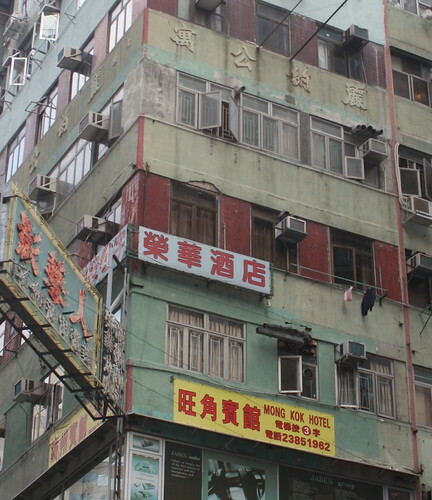 If you like old buildings too, you might want to follow furkidsinhk on Instagram who lovingly details lots of these in Hong Kong, and the stories behind them. I love HK. 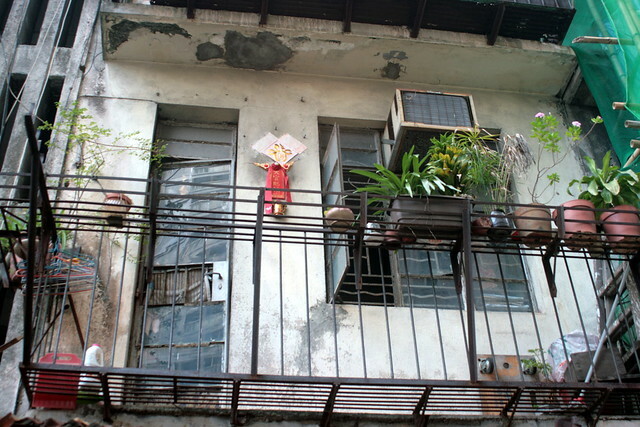 The old facades represent the history in no way the modern skyscrapers can. The photo with the couple seems to be taken near Lan Kwai Fong. Exactly the reason why I love Hong Kong :) Can't wait to be back again for food for shopping for the above! Also another reason why I love Goods of Desire, which managed to capture the essence of Hong Kong's culture so well in their products and marketing!